Admiral co-founder Dan Bassichis joins pre-Super Bowl panel on real estate investing for athletes. 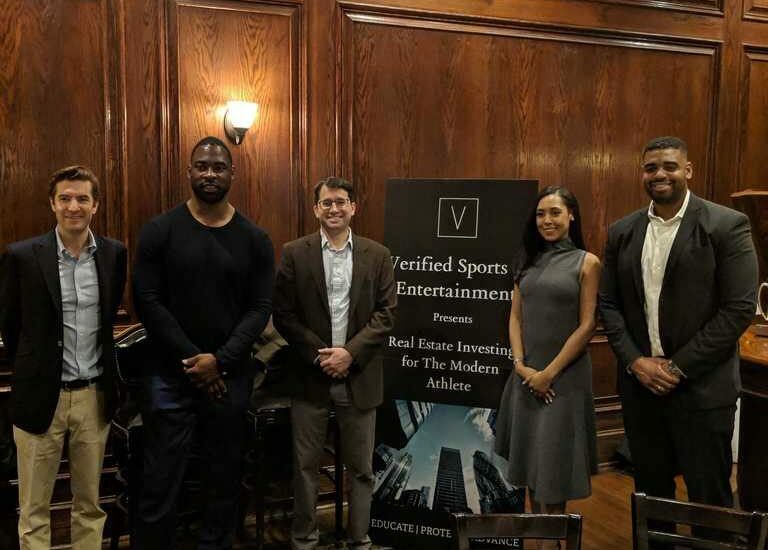 Bassichis joined Admiral investor and Goldman Sachs VP Justin Tuck on panel to educate athletes on real estate investing, impact and career transition. The panel was hosted by Verified Sports and Entertainment and also included James Maher of Harbor Road and Bria Bailey. The panel focused on the ways athletes can engage in real estate investing, key risks and pitfalls, diversification, relationship building, opportunity zones and leveraging an athlete’s platform to gain access to opportunities. Dan also provided insight into the benefits and challenges of working with professional athletes as investors and the role of a financial advisor in vetting direct real estate opportunities. The attendees included a group of current and retired NFL players with a specific interest in real estate investing and operations.